Today, HDHPs leave too many patients concerned about how they’ll afford the care they need. A recent poll showed that 62 percent of people are struggling to pay their medical bills, and delayed preventative care such as dental visits; 43 percent skipped physician-recommended tests or treatment; and 41 percent of patients didn’t fill their prescriptions. Just as importantly, hospitals and health systems are now reliant on patient financial responsibility. Black Book’s 2017 Revenue Cycle Management study showed that 92 percent of hospitals report that traditional collections were negatively impacting their profit margins. Furthermore, providers reported millions in unpaid patient bills. The challenge becomes reconciling access to quality care without potentially financially crippling a patient. A 2018 study by NORC showed 30 percent of patients believe they had to decide between paying medical bills and basic necessities. This is unacceptable. The good news is that the industry is starting to understand consumer needs and fix the problem at the root. But there are improvement opportunities to help every patient that presents at a hospital. For example, we can make it easier for patients to pay with online portals, but what if they don’t have the money to begin with? We can ensure patients always know what they owe and why they owe it, but what if they just lost their job? As with any industry, we need to start looking at patients’ expectations and patterns of behavior – specifically with money – to help us solve this financial burden for patients and hospitals. Communication. The first step to addressing consumerism is understanding how to successfully build trust from the first financial conversation. A recent Kaiser Family Foundation poll found that difficulty paying bills makes people likely to shop around for a lower price. However, 69 percent of these patients said it was difficult finding transparency, and 67 percent said they were unsuccessful in negotiating prices. This roadblock only leads to frustration. Hospitals have an opportunity to meet consumers halfway, offering multiple options, flexible payment plans and open visibility into their financial obligations. Flexibility. Coverage gaps, HDHPs, premiums and high co-pays are all a source of fear for consumers. The Consumer Financial Protection Bureau reported in 2017 that medical debt was the most common reason for someone to be contacted by a debt collector. The problem is that people have lives that change, for better or for worse, but the financing system typically doesn’t adapt in kind. 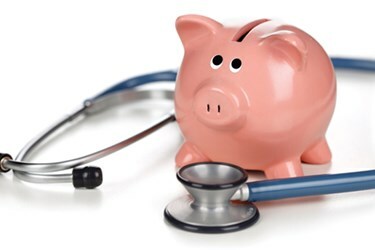 Patient financing should be agile without penalty. Patients should be able to change their payment structures at any point if they can no longer face the financial burden. Ultimately this helps hospitals get paid in full and builds loyalty among patients. Control. Healthcare has long been seen as an elusive industry where patients show up with a problem, then hope insurance covers it. However, the landscape has changed and regulations now enable patient’s more control over surprise bills, for example, which has started a healthy dialog around how patients interact with hospitals. Hospitals can easily show their commitment to patient financial engagement by offering such features as online and mobile bill pay, consolidation of a single person’s or family’s total amount owed and offer the ability to opt-into financing plans that work for them. AnMed Health serves as the largest and most comprehensive health system in Anderson, SC, and provides healthcare for residents of eight counties in upstate South Carolina and northeast Georgia. The not-for-profit health system includes more than 400 physicians and over 3,600 employees. AnMed has always prioritized its community, exploring ways for patients to pay their bills and enjoy a positive patient experience – not always common with financial departments. The system even offered prompts such as 25 percent discounts to patients who stuck to agreements, increasing it to 50 percent when that wasn’t enough influence. But people were used to the world before high deductible plans – paying as low as five to 25 dollars a month, and that was too low to satisfy the bill even with discounts. AnMed realized that it needed to find a real long-term payment plan option that could connect to the community and establish a better compromise between the financial needs of the patients and the system. After exploring several options, AnMed landed on finding a financing partner, one that offers opt-in, flexible payment plans with little to no interest. It was important that their financing partner accepted every single patient into their payment plan regardless of propensity to pay, financial history or state. Equally as important was having a ‘do no harm’ culture, with no associated credit reporting. Since implementing this strategy, the organization has collected more than $1M in patient payments. The program has proven popular especially among the internal finance team as it has freed them up to have more engaging conversations with patients around financial options, rewarding loyal patients with an easier system and identifying patients who may need assistance early in the process. Consumerism in healthcare has the potential to drive some of the most significant changes to patient financial engagement that we’ll see in our lifetime. Hospitals and health systems now have the options they need to develop a new dynamic and deeper level of trust with patients, building a balance between financial solvency and quality patient care. Mark Spinner is CEO of AccessOne, a patient financing company that helps hospitals and health systems ensure every patient can afford care regardless of financial situation.